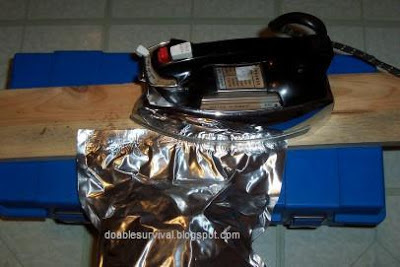 Using Oxygen absorbers and mylar. Mylar bags and oxygen absorbers. 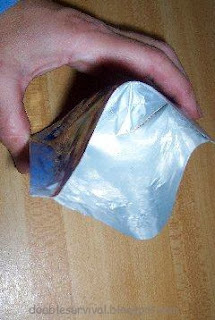 When using oxygen absorbers, it's very important to not open the packet until you have your bags ready to seal! 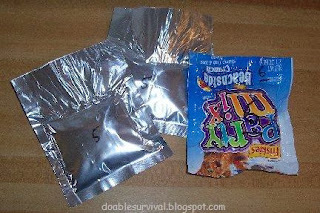 You want them in the bags of food and sealed within 15-30 minutes of opening them or they won't work well. There are arguments on whether or not 'hand warmers' work as well as oxygen absorbers; but I'm not convinced myself. Besides, the oxygen absorbers are inexpensive; so I'd rather play it safe and get those. There is a lot of different information out there about the shelf-life of foods. I've also read articles about how many foods store a lot longer than first thought. The cooler the temperature, the longer it will last. Some of the foods that are said to last 30 years or more when kept at a temperature of around 70 with an oxygen absorber are wheat, white rice, pinto beans, rolled oats, pasta, potato flakes, non-fat powdered milk. (Brown rice doesn't store well because of the fatty acids.) Again, there is a lot of different information out there, but these do store well. Dehydrated foods are also good for storing with oxygen absorbers. Here are a couple of articles about the shelf-life of many foods. Here is an article on oxygen absorbers. Not only is it a good idea to stock up some for emergencies; but with the rising prices going up and up and up, it can be a good idea to stock up for that reason too. I like the oxygen absorbers because I can store some things away and just forget about it for a long time. ;) Of course I have other foods, like canned foods, that have to be rotated and used in a shorter amount of time. Note, if you wish to store grains or legumes and not use oxygen absorbers, you may want to look into using food-grade diatomaceous earth. You mix it in with the food, and it will take care of any bug problems that can arise. It is organic, the fossilized remains of a type of algae. If you want to sprout something, you would want to use this instead of an oxygen absorber. Some people swear by bay leaves, but I'm not convinced about that from the things I've read. 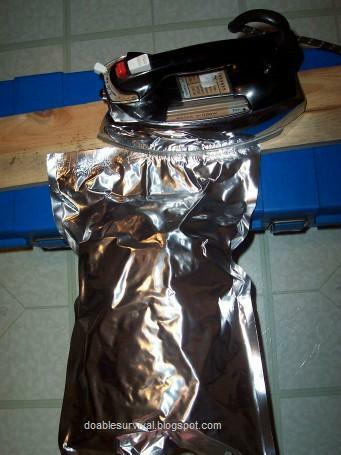 Juice pouches also come in mylar. 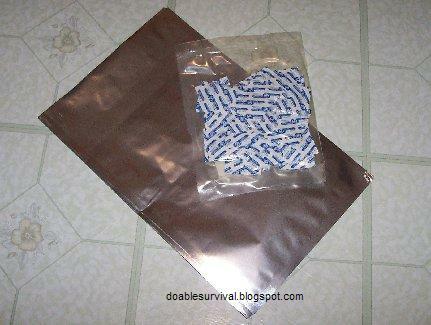 Oxygen absorbers sealed in smaller quantities. Great way to store food and thanks for the tip. Mylar Food Storage Dinners-Use these 20 Minute food storage meals recipes to rotate your food meal storage and introduce your family to the meals they would like to eat.